The players gain points for conquering provinces, building temples and founding cities. The winner is the player who has the most points at the end of the game. 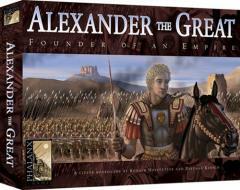 He may name himself heir to the throne of Alexander the Great.